This weekend marks the 30 year anniversary of Apple. By way of celebration, Larry Magid, of the the series Larry's World on IT Conversations interviewed Lee Felsenstein, an early pioneer in the personal computer space who conducted the Homebrew Computer Club meeting where the Apple I debuted. He not only reviews the history of those early days, but also has strongly held opinions about what makes a personal computer "personal" and is critical of plans for the $100 laptop. SAML Federated ID (InfoWorld)(click to enlarge) My feature on Federated Identity Governance came out today in InfoWorld. There are three pieces: The hidden challenges of federated identity - Federation is the logical goal of identity infrastructures, but achieving it takes more than just technology User-centric identity brings federation close to home- Agreements between peers can add up to an effective federation Scaling a federated identity infrastructure - Most identity federations start small, but as they grow in size you may need to rethink your approach If you read them and want to know more, buy the book! N9472C in the air(click to enlarge) Every time you fly, you hear it: "You may not use your cell phone and other portable electronic devices in flight because they may interfere with the navigational equipment on this aircraft." Like me, you've probably wondered "is that really true?" An article in IEEE Spectrum by researchers at the Naval Air Warfare Center and Carnegie Mellon University delivers some surprising results. Bill Strauss, M. Granger Morgan, Jay Apt, and Daniel D. Stancil measured the RF spectrum inside commercial aircraft cabins during 37 real flights over the course of three months in late 2003. If you've never been in the military, you may not appreciate the level of professionalism and training represented in both the officer and enlisted ranks. Julian Barnes has a great piece in US News and World Report on how the Army is shifting it's training in response to things they're encountering in Iraq. This is important because we're more likely to see things that look like Iraq in the future than we are "near-peer" kinds of encounters. A c|net test shows that DRM is computationally expensive and results in a measurable drain on battery life. For Microsoft's WMA 10 DRM on a Creative Zen Vision:M, DRM resulted in 25% less battery life. The iPod and Fairplay only accounted for 8%. Whether it's 8% or 25%, the shortened play time is a feature cost that puts the burden square on the user. You pay for the music and then you get less functionality than you would with uncrippled tracks. Ugh! The LDS Church (BYU's sponsoring organization) has added RSS feeds to their Web site. The registration page for the Internet Identity Workshop is now live. Please register as soon as you can: we have early deposit requirements at the Computer History Museum that we're hoping registration fees will cover. HTTP authentication has been pigeonholed into protecting back-end systems and whole sites. In fact, it's much more versatile, as this tutorial shows. Ever wanted to use HTTP authentication from a Web form or allow HTTP authenticated users to logout? This shows you how using standard server-side techniques and very little code hacking. I've been putting off upgrading to version 1.5 of Firefox on OSX for a while now because it's always a bigger pain than it ought to be. Last week I was forced to for reasons that I won't go into. Like past upgrades, l had to play games to get SpellBound (the spell checker plugin) to work and enable Emacs keybindings to work. At version 0.9, I could understand and put up with this, but I'm growing tired of it at version 1.5. 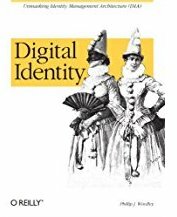 Kaliya Hamlin, Doc Searls and I will be holding another installment of the Internet Identity Workshop at the Computer History Museum in Mountainview, CA on May 2 and 3. We're also holding a half day "intro for newbies" on the afternoon of May 1st for people who want to join the conversation on Tuesday and Wednesday. I've put up an announcement with details. Look for a registration page later this week, but I wanted people to be able to get it on their calendars now. Please link to the announcement and help spread the word. Dave Sifry(click to enlarge) I finally was able to unload my camera and post my pictures from ETech. Enjoy. On a related note, I recently discovered that something I'm doing in my template for Gallery is making it so that photos don't show up in Safari. I'll have to look at that. Christopher Payne from Microsoft is giving a demo of Microsoft's new live.com services. He's standing on stage in a suit. The visual discontinuity of that is jarring. His assistant, Frederick, is adding new widgets to a page, very AJAXy. The visuals are pretty slick. Live search let's you search within the results. There's a smart scroll bar that dynamically grabs information as needed so that you don't have to click "next" and "prev" to get other results. Image search has been completely rebuilt. Nice slider bars allow you to reduce or expand the size of thumbnails in image search. Joel Spolsky is speaking on creating blue-chip products. His formula: Make people happy (control) Think about emotions Obsess over aesthetics AJAX is an example of something that can make people happy by giving them instantaneous feedback. He points to the Ambercrombie Web site as an example. He gave the example of cars for emotion and the iPod for aesthetics. How are people living up to the formula? He brings up reddit. It uses AJAX, has a cute alien as a mascot (large eyes and bald--looks like a human baby). The alien creates cartoon stories that create an emotional bond. Brian Dear from EVDB and Eventful is speaking on calendar as platform. His talk is title "When Do We Get the Events We Want?" He gives a quick overview of the company. EVDB stands for the Events and Venues Database. The goal is to maximize event discovery. The Web has done a pretty bad job of getting people to the events they're interested in. Making data for events open and portable is important, so is having the right tools to manage that data. The company has a platform called EVDB and a portal called Eventful. Anyone can use EVDB. In a talk on the Hunch Engine at ETech, Eric Bonabeau used the term "heuristicrat" to describe professionals who use years of professional experience in a black box decision process to limit choice. His example was an architect who says "no" to almost every question the client asks in an effort to channel the client into a small set of designs the architect is comfortable with. Heuristocrats don't think outside the box, as it were. I'll be moderating a panel on SOA governance at InfoWorld's SOA Executive Forum March 16 in San Francisco. This will be a follow-on to the feature I did on SOA governance that ran in January. The panelists will be: Todd Biske of AG Edwards. Todd blogs actively about SOA. He had a recent piece about governance with an analogy to voting that I enjoyed. Ed Vazquez of Sprint-Nextel. Ed's the Group Manager of the Web Service Integrations & SOA. David Harrington of MedicAlert� Foundation. David's the CTO at MedicAlert. Mystery Panelist. We're still waiting for confirmation on this guest. I'm going to be at O'Reilly's Emerging Technology Conference in San Diego next week from Monday morning through Thursday afternoon. Look me up. Last year at ETech (see you next week, BTW), I wrote about Jason Fried's talk on lessons learned building Basecamp, the online project management system from 37Signals. The talk was interesting and full of wisdom on how to build Web applications. now the folks at 37Signals have come out with suggestions in bookform, called Getting Real. The book is only available as a PDF. 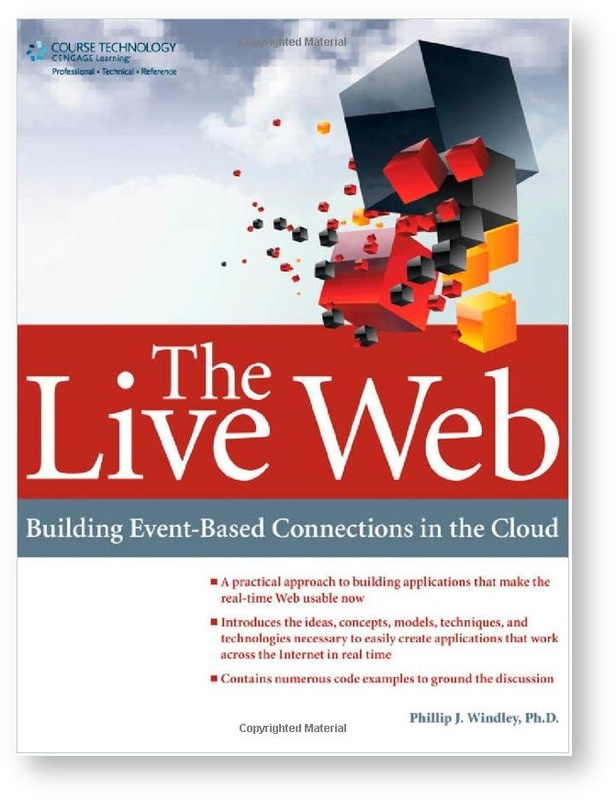 There are some sample chapters online, including one called Meetings Are Toxic (PDF). I've got a copy; there's some good stuff there. This parody of what the iPod packaging would look like if Microsoft sold it is simply too good not to share. Update: The original link apparently isn't working anymore. Here's another, but if that doesn't work for some reason, just go to YouTube and search for ipod repackaging. There's several copies there.